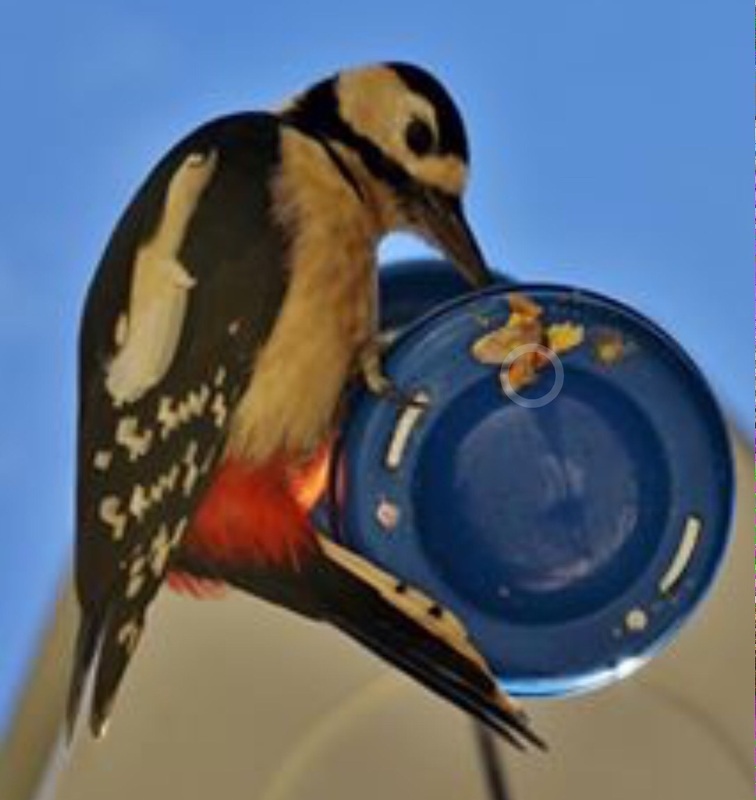 A friend of mine Jamie Russel ( Mude photography) managed to take a wonderful photo of a red woodpecker, sat feeding off a bright blue feeder, I asked if he would mind me using the picture to paint it ( as I really need to tackle this painting feathers problem I have, after feeling beaten when I painted the parakeet flying, I thought this picture was great, having not got too many individual detailed feathers). I actually enjoyed painting him, and really am in love with caran dache neocolor. So I started painting him in watercolours, then finished details, highlights and low lights in the water soluble wax pastels. the beauty of painting is that I replaced the bright blue feeder with a circular cross section of wood, I think it looks better that way, although not entirely happy with the wood, but I don’t mind as I wanted the emphasis to be on the ‘yaffle’. 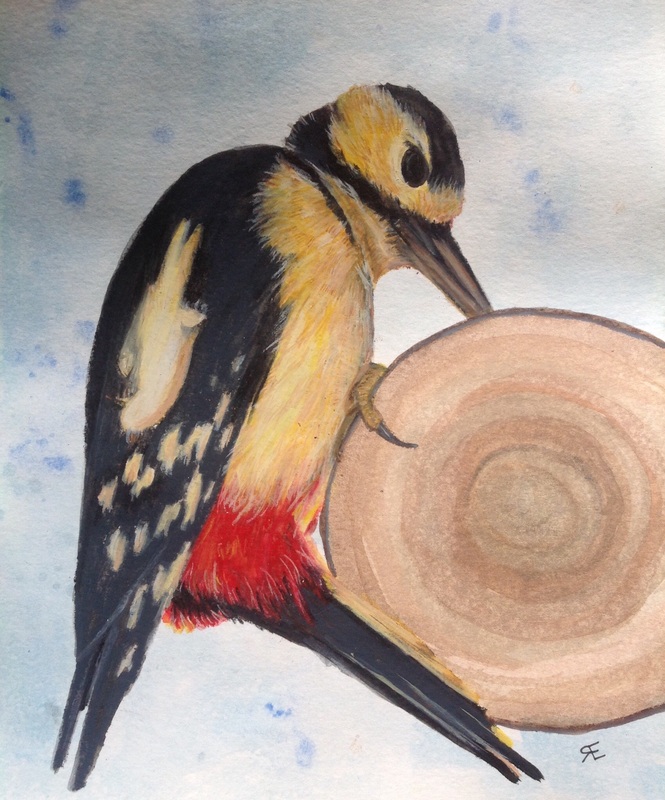 This entry was posted in art, caran dache neocolor, red woodpecker, watercolour, yaffle and tagged art, caran dache neocolor, painting, Painting, Red woodpecker, watercolour, yaffle. Bookmark the permalink.